On 20 November 2015, the National Science Foundation (NSF) selected Associated Universities, Inc. (AUI) to manage the National Radio Astronomy Observatory (NRAO) through a new 10-year cooperative agreement. The new agreement includes the operation of the Karl G. Jansky Very Large Array (VLA), the North American share of the international Atacama Large Millimeter/submillimeter Array (ALMA), and NRAO’s development laboratories and administrative and management functions, effective 1 October 2016. The Green Bank Telescope (GBT) and Very Long Baseline Array (VLBA), which were recommended for divestment several years ago, will exit NRAO and become independent facilities known as the Green Bank Observatory (GBO), with Karen O’Neil as its director, and the Long Baseline Observatory (LBO), with Walter Brisken as its director. Pending submission, review, and approval of a supplemental funding request, AUI will continue managing each under a separate cooperative agreement for the next two years, while NSF decides the long-term future of these facilities. This new arrangement has a number of advantages, and provides the needed independence and flexibility for GBO and LBO to continue to serve the national and international science communities while actively building new partnerships. Looking to the future, NRAO will work closely with its users and the broader scientific community to identify, develop, and effectively deploy new capabilities across a broader range of discovery space in combination with GBO and LBO. Observing proposal submission, science operations, and user support for the GBT and VLBA science communities will continue unchanged in the near term as NSF and AUI explore details and options for the Fiscal Year 2017 launch of the GBO and LBO. We look forward to the continued success of NRAO and the new opportunities GBO and LBO bring to the astronomy community. The Atacama Large Millimeter/submillimeter Array (ALMA) Director, on behalf of the Joint ALMA Observatory (JAO) and the partner organizations in East Asia, Europe, and North America, is pleased to announce the ALMA Cycle 4 Call for Proposals for scientific observations to be scheduled from October 2016 to September 2017. 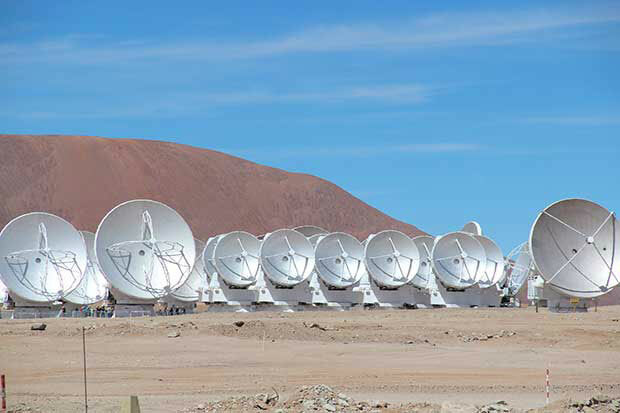 It is anticipated that up to 3000 hours of the 12-m Array and up to 1800 hours of the Atacama Compact Array (ACA), also known as the Morita Array, will be available for successful proposals from Principal Investigators (PIs) in Cycle 4. Proposals must be prepared and submitted using the ALMA Observing Tool (OT), which is available for download from the ALMA Science Portal. Proposals will be assessed by competitive peer review by a single international review committee. ALMA Cycle 4 proposal submission opened at 15:00 UT on Tuesday, 22 March 2016. The ALMA Cycle 4 proposal submission deadline is 15:00 UT on Thursday, 21 April 2016. Please see the ALMA Science Portal for other important Cycle 4 milestones and for the complete set of documents supporting this Call. ALMA provides continuum and spectral line capabilities for wavelengths from 0.32 mm to 3.6 mm, and for angular resolutions from 0.024” to 3.7” on the 12-m Array. Cycle 4 offers several new technical capabilities, including Solar, millimeter-wavelength Very Long Baseline Interferometry (mm VLBI), spectral-line linear polarization, and ACA stand-alone observations. In addition, for the first time, ALMA will accept Large Proposals, which are programs that request more than 50 hours of time on the 12-m Array or the ACA in stand-alone mode, to address key scientific questions. The NRAO is pleased to announce a Call for Proposals for 1mm Very Long Baseline Interferometry (VLBI) using the phased output of the ALMA and the Event Horizon Telescope during ALMA Cycle 4. An overview of phased ALMA and the EHT, additional technical information supporting proposal preparation, and instructions for proposal submission are provided at the Call website. Up to 5% of ALMA Cycle 4 observing time is available for VLBI, shared between 1mm and 3mm. Note that the EHT without phased ALMA is not being offered as part of this Call. A proposal must be submitted to request phased ALMA by the ALMA Cycle 4 proposal deadline. In addition, the same proposal must be submitted in response to this 1mm VLBI Call for Proposals. The submission deadline for 1mm VLBI proposals is Thursday, 28 April 2016, at 23:59 UT. Proposers who need assistance with proposal preparation or have questions regarding the Call should contact NRAO staff via the "General" department of the NRAO Helpdesk. The Event Horizon Telescope Consortium (EHTC) is expected to comprise the Submillimeter Array, the James Clerk Maxwell Telescope, the Submillimeter Telescope, the Atacama Pathfinder Experiment, the South Pole Telescope, the Large Millimeter Telescope Alfonso Serrano, the IRAM 30m telescope, and an antenna from the Northern Extended Millimeter Array. Preregistration and abstract submission are open for the international ALMA science conference, Half a Decade of ALMA: Cosmic Dawns Transformed, which will be held in Indian Wells, California from 20-23 September 2016. ALMA is currently observing in its compact C36/2-3 configuration. Austral summer is ending, and some periods of excellent high frequency weather have already been used for Cycle 3 Principal Investigator (PI) science programs. 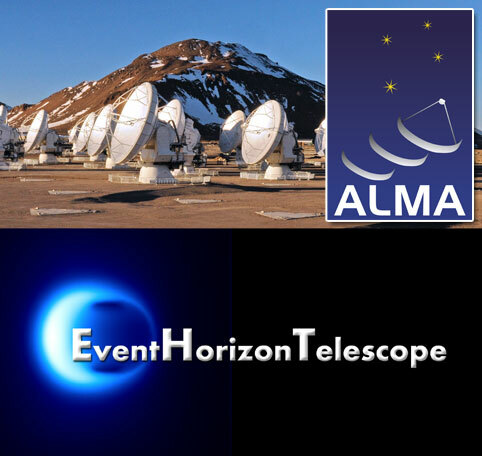 The North American ALMA Development Program released a Call for Study Proposals 1 March 2016. A detailed description of the process and requirements can be reviewed on the Call for Study Proposals website. The deadline for all proposal materials is 2 May 2016. If you plan to propose, please file a Notice of Intent as soon as practical. ALMA’s line sensitivity and spectral grasp has resulted in the identification and imaging of more than forty molecules outside the Milky Way. Its spatial resolution has highlighted differences in their distributions. This North American ALMA Science Center workshop focuses on the character of the molecular gas in the varied environments in which these molecules are found beyond our Galaxy. This international conference will bring together ALMA, Very Large Array and Green Bank Telescopes users, and potential users of future facilities, such as the James Webb Space Telescope, the Thirty Meter Telescope, and a next generation Very Large Array. The conference program schedule is now posted to the conference website. Many new science results will be presented, including observations made during the recent period of PI long baseline science that provided resolutions of tens of milliarcseconds. Argus in the Green Bank laboratory. The Argus 16-pixel W-band focal plane array was installed on the GBT on 9 March 2016. The array operates in the 80-116 GHz frequency range. 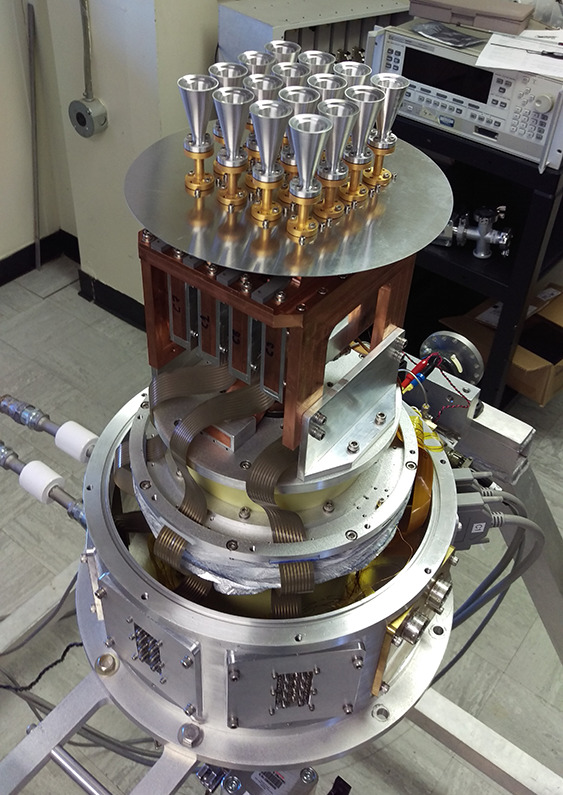 The instrument arrived in Green Bank in early 2016 for integration and has undergone successful testing and characterization in the Green Bank lab, under the leadership of visiting Stanford graduate student Matt Sieth and the assistance of NRAO engineer Mike Stennes and the Argus team. After the initial commissioning, Argus will be available for shared-risk observations. Argus is a collaboration between Stanford (PI Sarah Church), Caltech, NASA-JPL, University of Maryland, University of Miami, and NRAO. Radar Tracking Engineer (Open Rank): The NRAO invites applicants for a Radar Tracking Engineering position in Green Bank, West Virginia. The successful applicant will assist in the design, development, and operation of radar tracking using the 100m Robert C. Byrd Green Bank Telescope in Green Bank, WV. This position is for a scientist, engineer, or related discipline to help lead the radar initiative and collaborate with the Green Bank management, engineers, scientists, technicians, and other staff involved in other radar related work on-site. Research Engineer in Millimeter and Submillimeter Wavelength Electronics: The NRAO in Charlottesville, VA, invites applications from research engineers with expertise in millimeter/submillimeter wavelength electronics. The successful candidate will be a member of the NRAO scientific staff and will join the millimeter/sub-millimeter receiver group in the Central Development Laboratory (CDL) in Charlottesville, VA. She/he will play a leading role in a program of design and development of low-noise millimeter/sub-millimeter wavelength instrumentation for astrophysical observation. This has been identified by NRAO as a key technology area for the next generation of radio telescope instrumentation. Assistant Scientist: The NRAO is now accepting applications for an Assistant Scientist position in Socorro, NM. The position entails independent research and functional responsibilities. The research may be multi-wavelength in nature but should be synergistic with NRAO facilities and the general broad mission of the NRAO. Preference will be given to those who have already used the Very Large Array (VLA) for their research, or have a clear plan of how to do so in the future. For functional work, the staff scientist will have a range of possible duties, involving support of the NRAO user community, operation and enhancement of the VLA, pipeline heuristics and development, and aspects of next generation VLA design. Specific functional duties will depend on the evolving needs of the observatory and the skills and interests of the successful applicant. The appointment is expected to be made at the level of Assistant Scientist; in exceptional cases, a higher rank will be considered. Deputy Head of the Joint ALMA Observatory Program Management Group (Deputy Program Manager): The Atacama Large Millimeter/submillimeter Array (ALMA) an international astronomy facility in Chile, is actively recruiting a Deputy Head of the Joint ALMA Observatory Program Management Group (Deputy Program Manager). The Deputy Program Manager will work closely with the ALMA Regional Centers as well as with the Joint ALMA Operation Departments of Computing and Engineering. The successful candidate will be expected and encouraged to conduct a high profile astronomical research. Research in areas directed toward use of ALMA will be strongly encouraged. For additional information on these openings and other NRAO career opportunities, please visit the NRAO – Career Opportunities web pages. 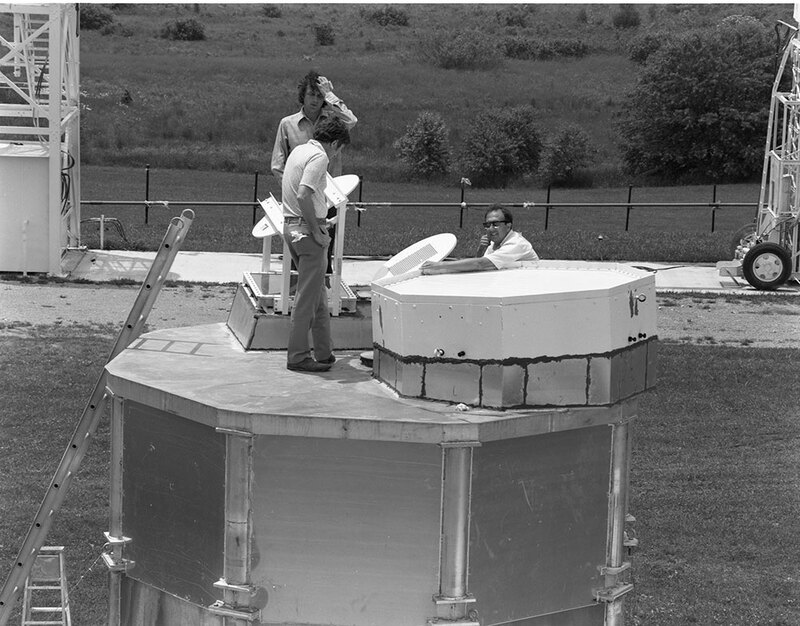 From the Archives is an ongoing series illustrating NRAO and U.S. radio astronomy history via images selected from our collections of individuals' and institutional papers. If readers have images they believe would be of interest to the Archives, please contact Ellen Bouton.